The third installment in Vaite’s Tahitian series (Frangipani, 2006, etc.). In the first two installments, women were the metaphoric glue holding the community together—men occupied the sidelines. The earlier works focused on Materena Mahi (the island’s leading radio host) and her daughter Leilani Tehana (Tahiti’s brightest hope for a female physician). This time around, Vaite shares island life from a man’s perspective. Pito Tehana (Materena’s husband and Leilani’s father) comes across as obtuse and disinterested in the first two works. As this story begins, not much has changed. The now middle-aged Pito still has a knack for trampling on Materena’s feelings. After one particularily cruel encounter, Materena is finally fed up with Pito and considers a separation. Pito is given a shot at redemption when an infant is dumped on their doorstep. It appears Pito and Materena’s eldest son, Tamatoa, was less than careful with his “seeds” while on leave from military service in France. Since Tamatoa is still abroad and the baby’s mother has vanished, Pito and Materena are left to care for baby Tiare. As a grandfather, Pito is a complete success. 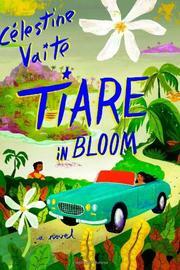 His darling Tiare receives all the love, affection and attention that Pito neglected to dole out as a young father. Now that he’s in touch with his softer side, Pito comfortably adopts the role of island elder and begins to repair his marriage. Another enjoyable island romp, though the author is less convincing writing from a male’s point of view.